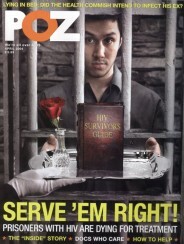 Advocates living with HIV seek to help eliminate prejudice through words. The language we use and the media messages we create often communicate stereotypical concepts and ideas about individuals or groups of people. People in society often use and repeat language they hear from the media, from health professionals, and from other people they admire and respect. Unfortunately, language is often used incorrectly and carries stereotypical concepts and ideas about groups or members of groups that is then disseminated deeper into our culture. The continued use of stigmatizing messages further alienates those affected by the messages. Since the early days of the HIV epidemic, we have seen and heard stigmatizing messages and derogatory language in relation to HIV and AIDS. The sensationalized headlines beginning in the 1980s along with prevention messages from health departments, social service, and governmental agencies helped to lay the foundation for the language we use today. Looking back at these messages, although well intended, helps us to understand the origin of the misinformation, stereotypes, and stigmatizing language that continues. An advertisement from AIDS Action Committee in 1986 shows an angry mob of protesters carrying signs saying “Keep AIDS OUT” (poster 1) and in large bold letters across the top reads “AIDS causes blindness.” However, in small print along the bottom, the Committee is hoping to gain compassion and support from the general population about AIDS. Unfortunately, few people ever read the small print of posters such as this. The message this poster conveys is confusing and most people will walk away thinking people living with AIDS should not be allowed in the workplace because they may go blind from AIDS. The public continued to see posters describing how AIDS can or cannot be transmitted. However, we know it is impossible to transmit AIDS because AIDS is a diagnosis not something that can be passed from one person to the other — HIV can be transmitted, not AIDS. In 1987, Illinois Department of Health disseminated prevention posters (poster 2) illustrating how “there is no evidence that a person can get AIDS from handshakes, dishes, . . .” and shows pictures of these images. These types of posters fueled the misinformation that the general public has surrounding HIV and AIDS and the confusion continues today. We often hear or see people say AIDS when they mean HIV and vice versa. Using HIV when we mean HIV and using an AIDS diagnosis when we mean so will help to clarify the correct terminology others hear and use. In most recent years, an HIV awareness campaign by the French depicted people living with HIV as a deadly scorpion and a spider (poster 3). After a backlash from the HIV community, the French halted the campaign. There were also posters of super heroes playing the role of the person living with HIV. However, they looked like zombies — not a pretty sight. Regenbogen (“Rainbow”), a German charity that educates the public about HIV and AIDS, released a series of prevention advertisements that depicted famous mass murderers playing the role of someone living with HIV (poster 4) – including Hitler, Josef Stalin and Saddam Hussein. The above messages are obvious in the stigma and stereotypes they portray. However, there are subtle messages from professionals, including researchers, that can also contribute to stigmatizing language and misinformation. Seeing these continued messages portrays people living with HIV as non-human and something to be fearful of. What is even more disturbing is that there are “experts” who review these publications before acceptance and no one is correcting the language. Are some of the researchers who study HIV and AIDS issues that out of touch with the real world? It appears so. “HIV Positive People” is another phrase repeatedly used in communication about HIV and AIDS issues. We are people living with HIV — we are not HIV Positive People. The concept of People first language was first introduced in 1983 and was part of the Denver Principles. People First Language has since been used in a number of other communities, including mental health, disability, and others. Rather than using labels to define individuals with a health issue, it is more appropriate to use terminology that describes individuals as being diagnosed with an illness or disorder. Using People First Language helps to eliminate prejudice. It removes value judgements about the person. When we describe people by labels or medical diagnoses, we devalue and disrespect them as individuals. Using thoughtful terminology can foster positive attitudes towards the person or group of people experiencing the diagnosis or issue. People First Language puts the person before the illness or medical condition and describes what a person has, not who a person is. Using a diagnosis as a defining characteristic reflects prejudice, and also robs the person of the opportunity to define him or herself. We want to promote understanding, respect, and dignity for all people. 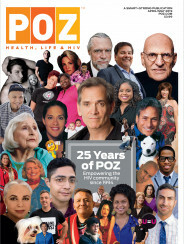 Although the misinformation and stigmatizing messages and language continues in our society, there are individuals and organizations who are working hard to change how we communicate about HIV and AIDS issues. Using appropriate language (see table below) can help reduce stigma and change the general public’s opinion about people living with HIV. The more awareness we bring to the issue the more change we can make. We are people LIVING with HIV. There is no medical definition for this phrase, simply use the term AIDS, or Stage 3 HIV. Vickie Lynn, MSW, MPH, is a doctoral student at the University of South Florida. Valerie Wojciechowicz is a nutrition and fitness expert. Both are advocates living with HIV.